All Steve Sabella artworks are either unique or available in limited editions of 6 + 2APs. To enquire or request information please email assistant@stevesabella.com. 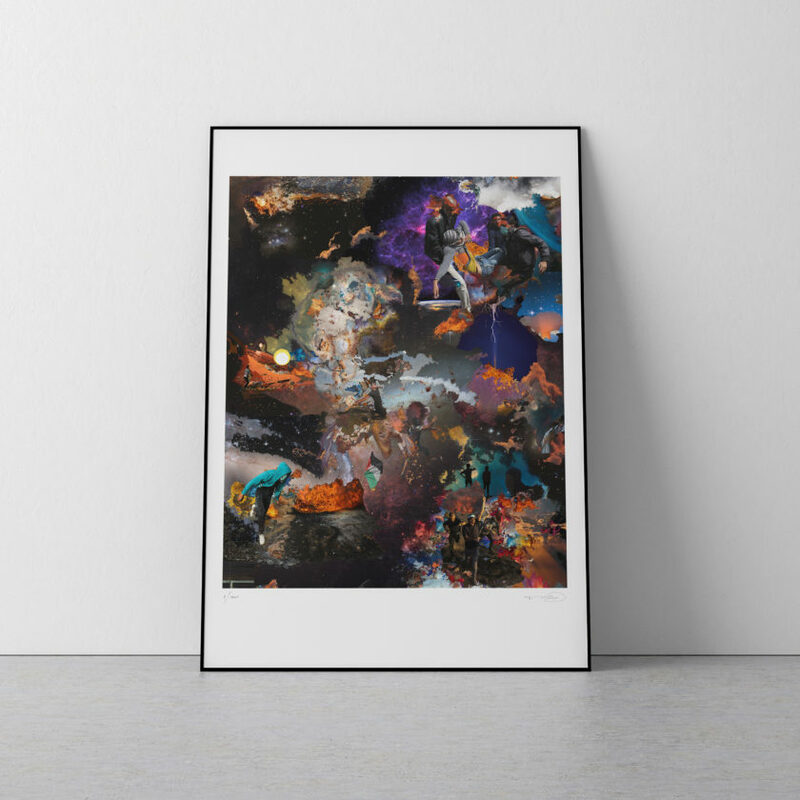 In February 2019 the Steve Sabella Studio released a limited edition of 1001 archival prints of a detail of The Great March of Return. Each print is hand numbered and signed by the artist. This print is a detail of a monumental new collage titled The Great March of Return, including over one thousand photographs captured by five Palestinian journalists from Gaza of the crowds who have gathered every Friday since March 2018 to end the Israeli occupation. These images are contrasted with photos taken of outer space merging the hermetically sealed Strip with infinity, creating a monumental “present-day fresco” demonstrating a nation’s eternal fight for liberation. Sabella will travel to Palestine in April 2019 for an exhibition at The Palestinian Museum and pre-orders are currently being taken for pick up there or with reduced shipping costs from within Palestine.